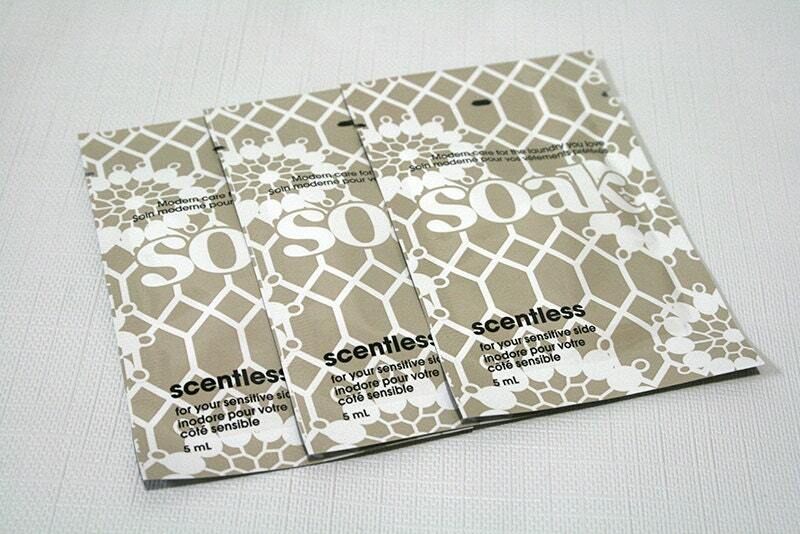 Three, 5mL single-use pouches of the popular SOAK fiber wash, Scentless. An innovative formulation that revitalizes fabrics and leaves yarn and hand-washables soft, clean, and smelling great. Add to cool water and let your item soak for 15 minutes. Gently squeeze out excess water and lay item flat to dry.